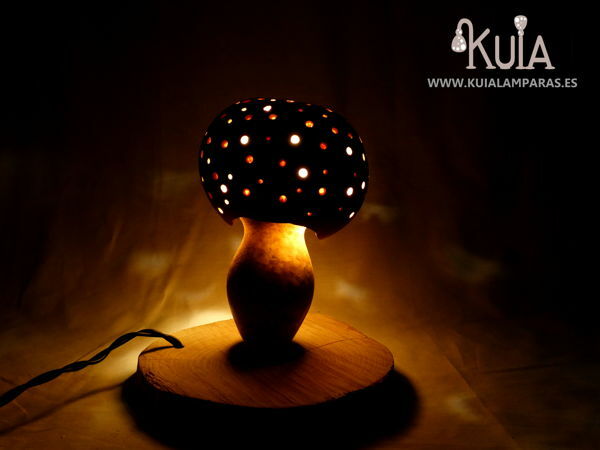 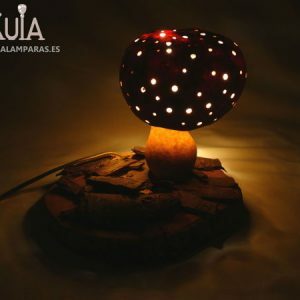 Decorative-childlish mushroom lamp (Amanita muscaria). 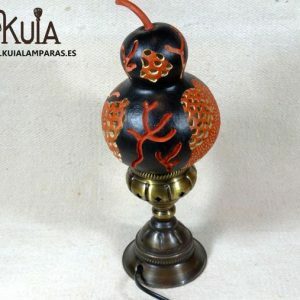 Perfect for decorating shops and bars, very colorful and at the same time with a touch of wood gives a rustic and funny style. 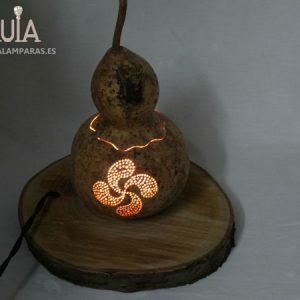 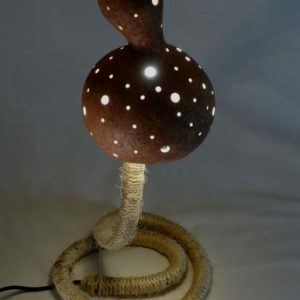 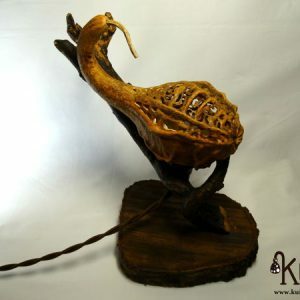 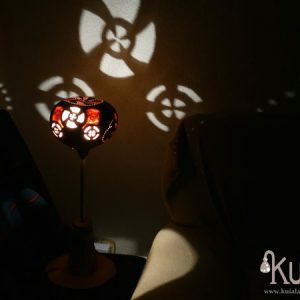 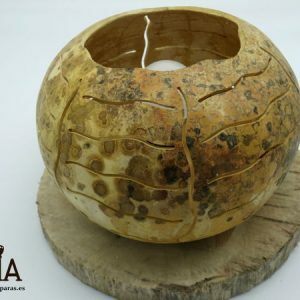 A lamp that emits a very warm ambient light and gives a unique atmosphere to any place.It is made with the same cut in half pumpkin and a wooden base.